The album was discovered on ██/██/1994 by Agent Bittner while tending to the estate of her late uncle, ██████ ███ Klinge. Questioning of Mr. Klinge''s surviving friends revealed that the album was likely purchased new sometime in early 1977 from an unknown record store in █████, ██. 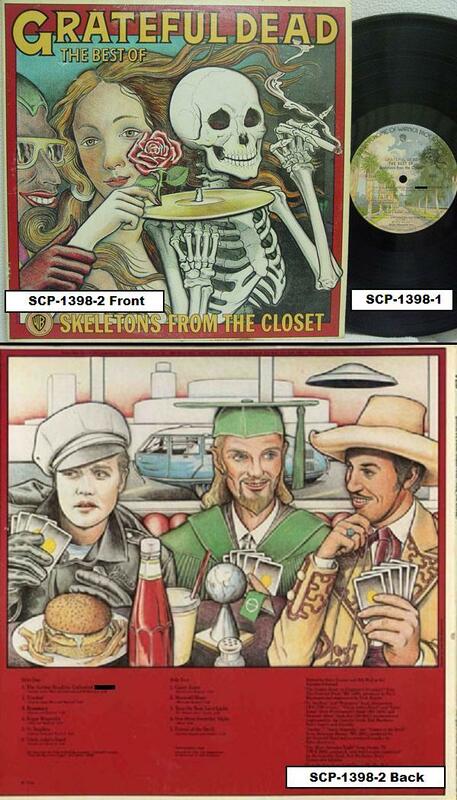 Despite remaining in Mr. Klinge''s personal record collection until his death, neither Mr. Klinge nor any other listeners were aware of SCP-1398''s anomalous properties. 6 Uncle John''s Band see Addendum 1398-01b. 1. Out of an initial pool of 228 test subjects (comprised of 17 Level 1 personnel and 211 Class D personnel) 14 Level 1 personnel and 156 Class D personnel were able to perceive anomalies in only one song at outset of testing. 4. A single Level 1 test subject and 1 Class D test subject were unable to perceive the anomalies associated with SCP-1398-1 playback and instead heard it as an unremarkable album. Coupled with the data garnered at initial recovery, the number of confirmed individuals unable to perceive SCP-1398-1''s lyrical anomalies totals at 6. Addendum 1398-01b: SCP-1398-1-6''s overall content is difficult to determine at present. Transcribed portions contain an unspecified narrator discussing one or more unnamed entities. Lyrical anomalies thus far recorded consist of only two stanzas; "He waits with a heavy heart, for his progeny he grieves;/ Each day more return to him, yet even more go deceived/ Long shall be his reign, when he comes again/ Look well for his signs and know, when his blood will flow/", which replaces the fifth stanza, and "Rejoice he is waiting arms held open wide/ Each and all shall sing his blood, those that seek or you who hide/ Approach drink of his love, he won''t be denied, he''ll come/ Life and breath, flesh and bone, he''ll come and take his children home/", which replaces the seventh (final) stanza. Subsequently, those displaying acute reactions to SCP-1398-1-6''s anomalies consistently develop progressive cases of thanatophobia post-test. At the outset subjects avoid items or activities which could reasonably cause harm, but increasingly overestimate any possible danger posed to their person. A single affected Class D personnel allowed to continue 160 days past scheduled termination eventually refused to consume any solid food for fear of asphyxiation and reacted hysterically to all requests that he leave his cell.